Recipient: Australian Wildlife protection Council Conservation Award 2012 ‘in recognition of outstanding contribution to the preservation and protection of Australian native wildlife’. Highly commended for the Wildlife Preservation Society of Australia Serventy Wildlife Award Medal 2011 for her years of volunteer work cleaning the marine debris onFraserIsland. Featured in ABC’s Australian Story ‘Dogs of War’ in 2011. Jennifer Parkhurst has a long history with fine arts including both painting and photography, starting at the age of 13 by winning her first major portraiture award. 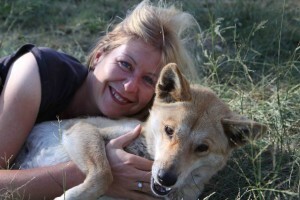 She took her first trip into the outback at 18 years of age, and subsequently formed a deep love for dingoes and began a life of traveling Australia. She has had three solo exhibitions and was invited to exhibit with Pro Hart, Jack Absalom and David Browne in their ‘roving’ exhibition around Australia in the late ‘90’s. Jennifer spent 4 years working on whale-watching and dolphin watching vessels, photographing marine mammals and the maritime industry. 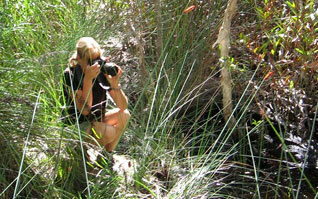 Jennifer moved to Rainbow Beach Qld in 2001 to fulfill her passion for photographing and studying Australia’s native dog. 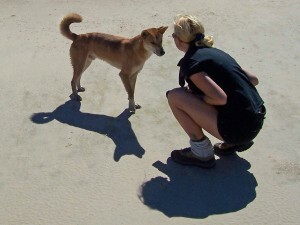 To date she has spent up to 6 days a week over a 6 year period working in the field on Fraser Island with wild dingoes. Jennifer has had both her dingo and dolphin photos published in several books by Steve Parish. She was also invited by the Anti-cancer council to exhibit her work at St Paul’s Cathedral in Melbourne. She entered the Archibald Prize in the 90’s with a portrait of the then Speaker of the House, the Honourable Mr Jim Plowman (deceased), and did several sittings with him in his full gown and wig etc, in the Chair. The painting was valued at $5,000 and was subsequently purchased by the Plowman Family. 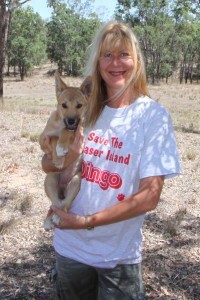 I have been following the story and issues regarding the case of interference and feeding of the dingoes on Fraser Island by Jennifer Parkhurst. I know Jennifer as a very kind and caring person with both people and animals and she only did what any caring person would have done if they had seen a starving animal, dingo or otherwise.I myself, an Elder of the Butchulla Tribe, a Traditional owner of Fraser Island would have done the same for any sick or starving animal dingo or otherwise on Fraser Island, or anywhere. The reason for the dingo starving is becausetheir natural food, wild life has been disturbed by all the heavy traffic buses, bikes and 4 wheel drives which have gone into all the parts of the Island and especially into the wild life places where the dingoes used to hunt for their food. and traffic has gone into places which was the dingo special places (areas) so the wildlife have left and so the dingoes take any food they can given or otherwise. I find this whole issue regarding Jennifer Parkhurst very degrading using her in this heavy-handed manner to try and stop other tourists from feeding the dingoes but until the Government take steps to have controlled number of tourists, buses bikes and 4 wheel drives on our Island there will be no more, a “beautiful Island” only another desert Island on this Planet. I wish everyone would show consideration and respect for Jennifer. As a Butchulla Descendant of K’Gari (Fraser Island) I wish show my support for Jennifer Parkhurst. I have known Jennifer for quite some time. Jennifer’s work and study of the dingoes on K’Gari has been done humanely, to try and help these unique animals that are under pressure from human impacts on their environment. Photographing and interacting with the dingoes has given the people a better understanding and insight into the dingoes’ way of living. Dingoes are not an aggressive animal unless they are provoked. They are in fact a very playful animal and are very different from a domestic dog. As an indigenous person growing up I was told many stories by my great Uncles and Aunties that were born on K’Gari; they said the dingoes were an integral part of their life, they lived with them and the dingoes slept beside them and looked after the children as well. Today it’s shocking to see the condition of the dingoes. These days their ribs stick out and some can barely walk from weakness. As a descendant of the Butchulla people, I cannot believe what the government is doing to these beautiful Dingoes, the last of our purebred dingoes in Australia. Jennifer Parkhurst’s photography has been done with my full support, and I do not feel she is doing any harm with the dingoes on the Butchulla people’s Island, K’Gari. I am a service provider for Indigenous health services in the Sunshine Coast greater region. I have come to meet and know Jennifer from contacts within the indigenous community in relation to Jennifer’s passion and research in relation Fraser Island and the nature and wildlife which reside there. 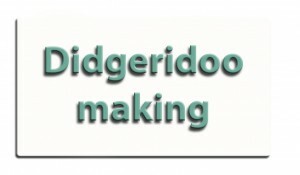 From communications to me by Indigenous stakeholders, there is concern within the indigenous community in relation to the management of the Dingoes on Fraser Island and it has been expressed to me that Jennifer’s research and efforts are highly regarded. Since meeting Jennifer I have come to know her as a person who is passionate about the environment and the preservation of its natural inhabitants. Jennifer has a connection and affinity with natural fauna and wildlife and this is evident to me in the way her native wildlife artistic subjects allow Jennifer to get so close to document, photograph or paint. In my experiences with Jennifer, I have found her to be a very warm and engaging individual. She is well spoken and presented, articulate and respectful to people, cultures and natural fauna and wildlife. She has made efforts to barely leave her footprints in her travels in her research and communique with people and nature and in her artistic pursuits and endeavors. Jennifer is respected not only by myself, but everyone I know who have also met and come to know Jennifer have always spoken highly of her. The words that come to mind when Jennifer’s name is mentioned is of a person of good character and good intentions with an affinity with nature, and a passion for its enjoyment and preservation. Jennifer has been selfless in pursuit of her passion and seems to have an innate connection to Fraser Island and its inhabitants. Jennifer helps educate friends and visitors in her travels of how to have a safe and enjoyable experience on Fraser Island and how to make minimal impact on the environment. Jennifer would be a great asset if she ever so chooses to apply for a position including but not limited to a Park Ranger, Tourist Guide or Researcher and the like as her innate character, knowledge and passion would be in my opinion an advancement to the experience of all visitors who would have the good fortune to spend time with Jennifer in an environment in which she knows and loves. I hope this message finds you very well. It was such an honour to meet you. You are such talented and inspirational woman and I wish you all the very best in your adventures that you are so passionate about. I’m loving this website. Your an inspiration. I don’t think anyone else has ever lived with dingoes, or wolves for that matter like you have. I hope that one day you can go back to your life and live with the dingoes again. Dingo management (cruelty) is one fine example how the Gov’t is out of touch with reality…no MORAL.These are the same people that are running our country,what hope do we have,God help us. Kate Jones…if your conscience doesn’t get to you the law of KARMA will. Dearest Jen, u r indeed an angel,u r compassionate and courageous, I applaud u, and so does the universe.This issue has been going on for ages, an obviously embarassing one for the government, who r trying 2 sweep the dingoes, and u under the carpet. Please let me know of anything I can do to help. When I win lotto Jen, u will definetly be on my list of recipients. Speaking of which, hey anyone out there with lots of $, please forward some to the cause. Again I ask is there anything I can do to help? I wish I could help in some way. I also wish I understood the Dingo like you do. I would like to see the Dingo protected and fed. Are they able to be fenced effectively? Why are there no employees in our governments with simple humane common sense? I have six children and absolutely agree with you that totally supervised, closely kept children would not be under threat. My children have grown now, but we spent some time (7 years) in Tennant Creek N.T. It is simple, you need to know where your children are AT ALL TIMES. I don’t know how society can blame an animal, be it Dingo, dog, cat or whatever for irresponsible parenting. I originally come from NSW and was horrified at the attitude of people in the Northern Territory towards Lindy Chamberlain. (which still exists today, even with all the exposure of incidents like on Frazer). I was also angry that tourists to the Centre were not warned about the danger from wildlife. I really don’t think that Lindy was an irresponsible parent at all, but terribly sadly uninformed. My husband works in Mining and has done a fairly long stint at The Granites gold mine in the Tanami Desert. People in their quarters were taking food back with them, encouraging the Dingoes to bring their puppies, trying to be friendly I suppose, not thinking at all that they were dealing with a wild animal. But they are wild, just because it looks like a dog, doesn’t make it a dog. I have had dogs all my life, showed them, loved them, bred them, rescued them, I have so many of them now that I really don’t have a life, so my husband, has had quite an upbringing (married 37 years). I think because he has watched me for so long, it enabled him to deal with the Dingo problem at the Granites properly and humanely. It was the humans that got told and had to change their ways, taught about the Dingo and it’s habits, thankfully it wasn’t the Dingo that paid for human stupidity. I can’t believe you were fined etc for feeding starving animals that in the next minute are held up to be icons of our heritage. I would like to see the Dingo fed. Surely it is an attraction for tourists, if so why are there not grants, why are they not MANAGED? Why isn’t all the interaction on Frazer Is., People, tourists, Tourism industry, children,Dingo, feeding, not managed? How can you have animals and no suitable food source? Can we not petition Government? I now live in Darwin and after taking my husband to the airport at 2.30am, saw a pair of Dingoes hunting, they were beautiful, but I did feel fear for the small animals, dogs, cats, rabbits (pets) in the built-up residential area. How can the ordinary person help you with this cause. I don’t have lots of money, but could contribute to an appeal. Maybe an Australian wide appeal, more exposure, correct exposure, mass exposure.I hope I can help you help the Dingo survive. The Dingoes on Frazer Is need to be protected. I herd the news today of two beautiful dingoes that i feel were murded because a child was bitten and not badly!… I feel it should be the perents that should be shot for taking there children to a place where the dingoes are starving because of the legal system, when we people all learn to live with nature & protect our beautiful planet……..I’m heart broken for these two excelent dingoes…what a waist……..
on a far off distant star. ‘neath the ancient peelin tree. ‘fore the red-tinged mornin sky. Thank mother nature for beautifull caring people like your self keep up the good work…..Brightest Blessings….